Twenty years ago, Brian Connolly and Shelley Gunton saw an opportunity to make high quality, healthy food for dogs and cats. As pet parents, they understood how people truly consider their dogs and cats to be members of their family-and are always seeking better quality products for their pets. That was the beginning of Castor & Pollux Natural PetWorks. We assembled a team of experts in animal nutrition, organic and natural ingredients, processing, packaging, distribution, veterinary medicine, and technology. Our goal was to provide pet parents with healthy, safe, and innovative choices for their dogs and cats. 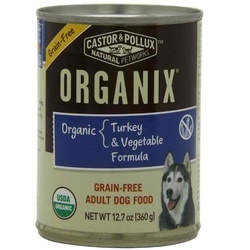 Launching in 2000, Castor & Pollux Natural PetWorks was the first branded, premium quality line of natural specialty food and supplies for pets. But we're not satisfied yet. As long as there are dogs and cats in the world, we'll be constantly looking for new ways to make their lives better through wholesome, organic and natural nutrition. And no one does natural like we do.